Few people reach the pinnacle of power in their country of origin. Even fewer born outside their country of residence climb all the way up the political ladder of their adopted country. Finally, almost no women attain the highest positions of any national government. 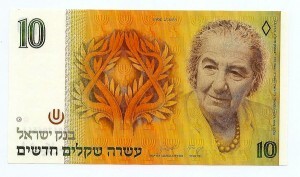 Yet one woman defied all these societal norms to become the fourth prime minister of the state of Israel – Golda Meir. She put words into practice. By age 11, she was already involved in her first public service project. With a friend, she formed the American Young Sisters Society. The group’s goal was to raise money for youngsters who had difficulty paying for schoolbooks. With her school friends, she painted posters, held community meetings and raised the much-needed funds. This obligation to assist others was a major part of Meir’s life. In Israel, her goal was to achieve social equality for all people, and she insisted that this would not happen unless she had the help of all citizens. 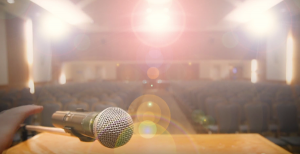 She asserted that people of lesser means must not sit back and be “passive,” that they had to speak up for themselves and work to better their life situation. On the other hand, she held that people of greater means had to work to close the social and economic gaps. She believed that, for everyone’s lot to improve, there had to be a sharing of responsibility. Still, Jewish-American feminist Letty Cottin Pogrebin criticizes Meir for not specifically advancing the case of women. On the Jewish Women’s Archive website, Pogrebin writes in the section on Meir: “She was, in current parlance, a ‘queen bee,’ a woman who climbs to the top, then pulls the ladder up behind her. She did not wield the prerogatives of power to address women’s special needs, to promote other women or to advance women’s status in the public sphere. The fact is that, at the end of her tenure, her Israeli sisters were no better off than they had been before she took office. After 60-plus years of public service, Meir did what she had been doing since she lived in the United States. She listened to what people in the street were saying about the government’s actions, and she took responsibility for those actions. 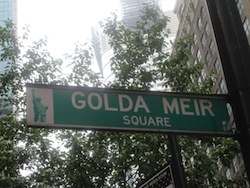 Looking at the current state of Golda Meir’s former places of residence, one could say they reflect the mixed feelings Israelis harbor toward her. On the one hand, not too long ago, northern Kibbutz Merchavia turned her first apartment into a small museum. Southern Kibbutz Revivim, moreover, established the Golda Meir Cultural Centre and the Golda Meir Memorial Wing, as Meir was a founding member of the kibbutz. Israel’s prime ministers – has fared a little better, perhaps because this prime piece of real estate is looking for a suitable buyer. While living at 46 Ben Maimon (Rambam) St., Meir customarily invited members of her inner cabinet – what became known as the “Kitchen Cabinet” – for advance briefing. She prepared the coffee and cake.